Totally fascinated at the moment with the ever expanding wallaby pouches. Constant wriggling then pop a Joey head appears to survey the landscape or attempt to nibble at the grass. Like a retake of aliens the movie. Trying to get some good shots but this is so far the best I can do. This Joey aah moment was shortly shattered when Frank and I went to collect the Emu eggs and suddenly racing across this large hill field we were confronted by a determinedly hostile Emu. Never ever witnessed this behaviour in the six years of keeping Emus. Frank was this Emus target I was ignored and maybe because I am with them alot. They can rip your insides out with their razor claws. Frank kept his head and used a stick to keep the Emu claws at sufficient distance until we exited the field. A good reminder that if you live and work with animals respecting and observing their behavior is a constant not an optional task. 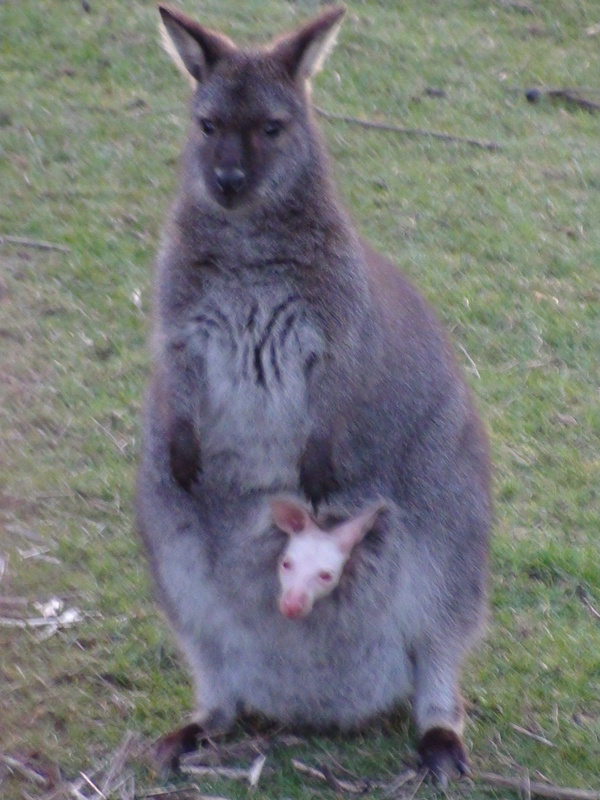 This entry was posted in Living With Livestock, Paddocks Update and tagged emu, Joey in pouch, paddocks farm ross on wye, wallaby. Bookmark the permalink.